Hear from US EPA Region 3 Administrator about the latest news from the region and the administration on US EPA programs and resources. New Jersey Institute of Technology Technical Assistance to Brownfield Communities (NJIT TAB) Brownfields 101 Workshop is designed to increase community knowledge of specific issues, challenges, and opportunities relating to the reclamation and reuse of brownfield sites. NJIT TAB Brownfields 101 Workshop will empower communities with the tools required to assess, cleanup, and redevelop brownfield sites. In addition, communities will also learn about various brownfield programs offered by their state and the federal government. Brownfields 101 provides a great forum for communities to learn about the brownfields redevelopment process and how their involvement can help spur economic development and revitalization efforts in their communities. The Brownfields EPA Grantee Meeting is an opportunity for Brownfield Grantees and Federal Staff from EPA Region 3 alongside their TAB providers to exchange ideas, provide feedback to one another, and encourage closer collaboration for brownfield redevelopment. The session will provide grantees with: updates on federal and state programs, grants and other resources, technical issues grantees face. The meeting will be divided into two sessions. Part 1 will be an interactive panel discussion with communities that have successfully utilized their brownfield grants sharing insight and lessons learned with the new grantees. Part 2 will discuss the importance of environmental due diligence and explain the federal and state processes to obtain liability protections and how to properly conduct a due diligence assessment. This session will be an interactive roundtable discussion, which will cover the following: • information to assist participants and their representatives in getting sites enrolled and through the program as well as help DEQ streamline workflow, • feedback on the Program, • open discussion regarding the VRP Regulations, standard operating procedure, and program benefits. We want to hear what we are doing right and what we can do better. A brief survey will be sent prior to the conference to assist us in focusing the topics. Environmental due diligence is a critical step in acquiring and investigating properties. The state of Virginia and the federal government offer certain liability protections for property owners that complete environmental due diligence assessments. EPA requires that all cleanup grant and site-specific assessment grant proposal submittals demonstrate that they have completed an AAI investigation, and all recipients of EPA Brownfield Assessment grant funds must conduct their Phase I ESAs in compliance with AAI. In addition, by completing an AAI investigation, a property owner may qualify for certain liability protections under CERCLA and the Brownfields Amendment. If you are a brownfield practitioner or work with a local, county, regional or state government, non-profit, or other entity involved in acquiring properties, you need to understand what is required to complete a due diligence assessment, including the timing of the due diligence assessment as well as the continuing obligations. This session will explain it all. The Virginia Uniform Risk Assessment Model (VURAM) is a risk assessment tool designed by Virginia DEQ for the Voluntary Remediation Program (VRP), RCRA Corrective Action, RCRA Permitting and Solid Waste Programs. VURAM 1.0 is currently in use with VURAM 2.0 expected to be released this spring or early summer. This session will be a live, interactive session with a hands-on tutorial. VURAM 2.0 includes the much awaited screening module with the latest EPA Regional Screening Level Update (Nov 2017). Please download the latest version of VURAM here and bring your laptop to the session. Ample time for Q&A with a DEQ Risk Assessor and VRP Project Managers will be available. If you love risk assessment but don’t work in Virginia, you are still welcome to come check out the latest risk assessment tool. Join us on a walking tour to see how one small community worked with potential developers to transform and reuse properties (some still “in progress”). You will get a chance to quiz community leaders and consultants on approaches and challenges — the things that worked and where changes needed to be made. The tour begins and ends at the Jackson Park Inn. The area is flat – no hills! There are a number of sites in the Southwest Industrial Corridor and also the First Street and Third Street Corridors that have been opportunities for redevelopment through the Town of Pulaski’s USEPA Assessment Grants and Virginia Brownfields Assistance Funds. In addition, you will see places where other leveraged funding sources have (or will soon) be used, e.g., from the Virginia Department of Housing and Community Development and Rural Development. Plus, we’ll have fun and get some exercise! Explore this small Appalachian town on your own! Learn more about all the of the great options in Pulaski! Agency brownfield coordinators are here to represent their states and share insight so that we can all win with brownfields. Hear about other states’ brownfields programs, initiatives, and emerging trends. When it comes to adaptive reuse projects in small towns, every historic building tells the story of the past, while providing a platform from which to drive development, and the new ‘brand’ of that town as it looks to its future. Old tobacco warehouses, downtown retail stores, and agricultural buildings are all important to those revitalization efforts, but old schools in so many ways may offer the most deeply emotional connection to the citizenry and the community at large. Abandoned historic schools are seemingly everywhere, and yet can often be the most controversial and — and because their inherent inefficiency and environmental issues —the most difficult projects to pull off. Waukeshaw Development has tackled several historic school redevelopment projects throughout the state and has managed a wide array of issues, from big abatement problems, municipal negotiations, register nominations and difficult zoning and programming issues. The Brownfields to Playfields initiative seeks to expand recreational and land conservation uses on vacant industrial or commercial properties, known as “brownfields.” Restoring and repurposing brownfields is an important stewardship goal of Pennsylvania’s Statewide Comprehensive Outdoor Recreation Plan. The mission is accomplished by providing assistance, particularly for smaller and underserved communities, through a multi-agency task force comprised of the PA departments of Natural and Conservation Resources (DCNR), Environmental Protection (DEP) and Community and Economic Development (DCED). When completed, new parks and trails will improve the quality of life for many citizens. Local communities are benefiting from efforts to coordinate key partners; enhance coordination between state agencies and communities; and identify funding resources to aid in the successful completion of the projects. It is a great example of government that works, as well as interagency cooperation. The Town of Saltville partnered with the Community Design Assistance Center (CDAC) at Virginia Tech to leverage an EPA Brownfields Assessment Grant and a grant from the Virginia Brownfields Assistance Fund (VBAF) to assess a brownfield site with a questionable environmental history from salt mining, operations from a chemical company, dumping, and use and storage of materials in a shop building. Located adjacent to the Wellfields Park, the site has the potential to solve a lodging need within town for the tourism economy. Through a community-driven design process, CDAC worked with the Town and community to create concepts for the redevelopment of the site into a campground. The team is now partnering with other agencies to secure funding for remediation and the implementation of the campground design. As the demand for clean and renewable energy increases, unproductive, abandoned, or contaminated sites present opportunities for clean energy projects. Brownfield sites often have the right combination of characteristics that are needed to build successful projects — such as open space, existing infrastructure and improved project economics with reduced land costs. In addition to the clean energy benefits, communities see properties that have been vacant or underutilized for many years turned into a facility that may help improve the local tax base, the use of a local labor force, and the turning of a potential liability into an asset. With this panel we will explore the advantages and challenges of incorporating solar energy projects into Brownfields projects. This session will highlight simple ways to use free applications to highlight Brownfield redevelopment work and market projects for community education and engagement. The use of an Esri ArcGIS Story Map to display an interactive and shareable Brownfield project portfolio will also be demonstrated. This presentation will be full of history, photos, interesting stories, and case studies highlighting a wide assortment of brownfields redevelopment projects in Tennessee, utilizing a variety of funding sources including EPA 104(k) Brownfields grants, private investment dollars, and other local and federal funding sources. Two rural case studies and one urban case study will be presented with unique solutions for preserving town’s historical assets, yet revitalizing brownfields. This session will give attendees ideas on layering funding sources, partnership attributes to strive for in complex projects with little resources, and the connection between historical assets and brownfields. Come and learn about Brownfields connections to Elvis, Kayaks and a Mountain Goat! Now that you’ve completed major site remediation milestones, it’s time to leverage your Brownfields site to achieve greater community and economic impact. Communities ‘plan their work and work their plan,’ but are often challenged to find resources and partners to carry out this work. This session will explore creative redevelopment and reuse scenarios for the post-remediation phase of Brownfields work, focusing on the role of partnerships, community engagement, and leverage. 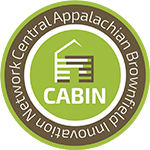 A representative from the Appalachian Regional Commission (ARC) will discuss regional success stories from Brownfields efforts that transformed a community liability into an asset for business, downtown, recreation, industrial site development, wildlife, and other uses. ARC will also share an update on the new POWER initiative. Virginia’s Department of Community and Housing Development (DHCD) will share examples of communities that have completed redevelopment projects involving Brownfields sites and successfully steered their vision into action. DHCD will also share tips for leveraging others state funding opportunities such as CDBG, IRF, and VMS. In 2017 Virginia was set to receive a significant amount of money from the Department of Interior’s Office of Surface Mining and Reclamation and Enforcement. It was called the Pilot Program and the money was to be used simultaneously for economic development and abandoned mine land reclamation. Virginia received $10 million to put towards the effort. The Virginia Department of Mines, Minerals and Energy (DMME) received 15 project applications, in which a total of $48 million was requested. An advisory council, formed to review and evaluate projects that met guidelines, chose those they felt would most likely boost the economy in the communities where they were proposed. This Pilot Program changed the face of the traditional Abandoned Mine Land Program. DMME’s Abandoned Mine Land Projects Coordinator, Lesa Baker, will take you through the guidance and the possible nexus between the Pilot, traditional program and other funding opportunities for project development.